Maybe it was a bit creepy, me having strange thoughts about her at such a raw age. I had a slight attraction to the neighbor girl who lived in back of our house. And I remember mom and dad teasing me about her and I “hooking up” sometime but of course they were joking since I was only seven years old and had no interest in that, right? But I did develop a liking for her, Ashley her name, that was rather confusing to me. It’s hard to explain the feeling. This desire was so private and I never told anyone, not even my secret crush. She did not know that I liked her, didn’t even sense it, was more interested in playing with Barbies. And it’s kind of silly to even think about having a serious crush since we were only seven years old. Telling her my deep dark secret would have been too embarrassing and awkward, not to mention way out of left field since there was absolutely no connection between us at all. I didn’t really understand the idea of attraction and neither did she. My life had been playing with Legos and not even considering any situations with girls. The ones in my classes really liked me but I didn’t know how to reciprocate and it was difficult to say the least. And then she moved away a few years later and my family a few years after that. 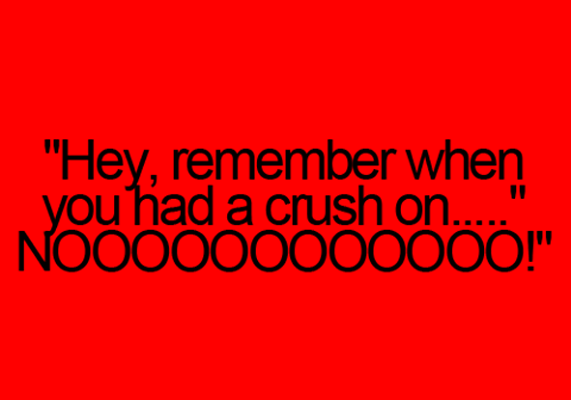 Seven years went by before I saw my “crush” again. It was at my high school graduation. I had just walked down the stairs and first saw my family waiting for me. This was just after I got no applause after walking on stage to receive my diploma, a really big let down after waiting 14 years for the moment, thank you very much. “Ashley!” I said in surprise at seeing her for the first time in nearly ten years. And then a moment’s stare commenced. Really awkward stare. Our eyes locked. She was scanning my face, her eyes moving about. I did not know what else to say, didn’t have the words for this long break. We never ever talked to each other during childhood, but I had a secret attraction to her, a kind of forbidden one actually that culminated in a really bad poem that my mom saw and immediately threw away. And finally she broke the ice and said, “I think I’ll go someplace else”, and left without another word. I was left standing there looking dumbfounded and confused. Turned back to my parents who were waiting there and they just shrugged and said we should get going to dinner. I never saw her again. Last time I heard, she had graduated from college somewhere. I don’t even like hearing her name being dropped now, since it just brings up feelings of heart-break and a confusion as to what happened that on that 6th of June, 2010. After that happened, I think I’ve just about had it with these silly crushes. They cause me too much pain, the uncertainty and desperation. I’d rather just talk to a girl without having to feel so giddy and nervous. If I saw Ashley again tomorrow (that’s not her actual name! ), I don’t know what I’d say. Would it be really awkward or would we finally have a real conversation? I think I’ve only said one word to this blonde haired, blue eyed girl of perfect porcelain skin in my entire life. And she’s not exactly the nicest person in the world. No, we would act like adults and not like children who get fluttery and blush over a passing look. Maybe it would actually be the start of a real friendship…or even more. Well, that’s my thoughts on childhood romance.